One of my favorite things about being a mom blogger is connecting with other moms from all over. Whether a stay at home mom like myself, or a working mom, girl mom, or boy mom, we all have one thing in common, motherhood. With that being said I am extremely thankful for my mom friends and super excited to introduce you guys to fellow dope mom Allison Thompson. I’m a working mom.....in training. 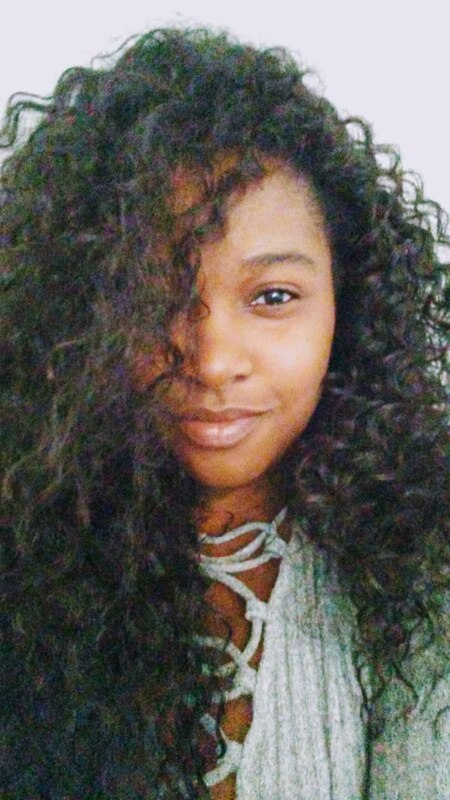 I’m Jamaican born and mostly breed wife and boy mom of 1 who recently transitioned from being a SAHM to now a working one. My family and I have entered the Vlog world, you can subscribe to our YouTube channel: A Tribe Called Thompson for a weekly peek into our shenanigans and follow us on Instagram @atribecalledthompson. Raise your hand if your Christmas to-do list is longer than Santa’s list…. Ok, well maybe not Santa’s but you get the point. It’s that time of the year where moms go bat crazy trying to create that perfect Christmas for their kids; from the perfectly decorated tree to that overly orchestrated family photo session; that winter wonderland Christmas display and not to mention all the Christmas activities that need to all happen before December 25th. Whew, I’m already exhausted just from thinking about it. But wait, for some of us we have to fit in that 9 to 5 J-O-B (because hey it takes a paycheck or 2 to get all these things done, and life does continue after December 25th). So how can we give our kids that perfect Christmas and keep focused on our professional life? Well, the first and most important thing I’ll share and this one is the $100 million advice I can give you……. THROW OUT THAT IDEA OF A PERFECT CHRISTMAS. I know, I know I’m crazy for even suggesting that but let’s be honest, do our kids care if the tree is perfectly decorated (NO!) and most times don’t we have to bribe our kids and husbands to even take those family photos (YUP!). 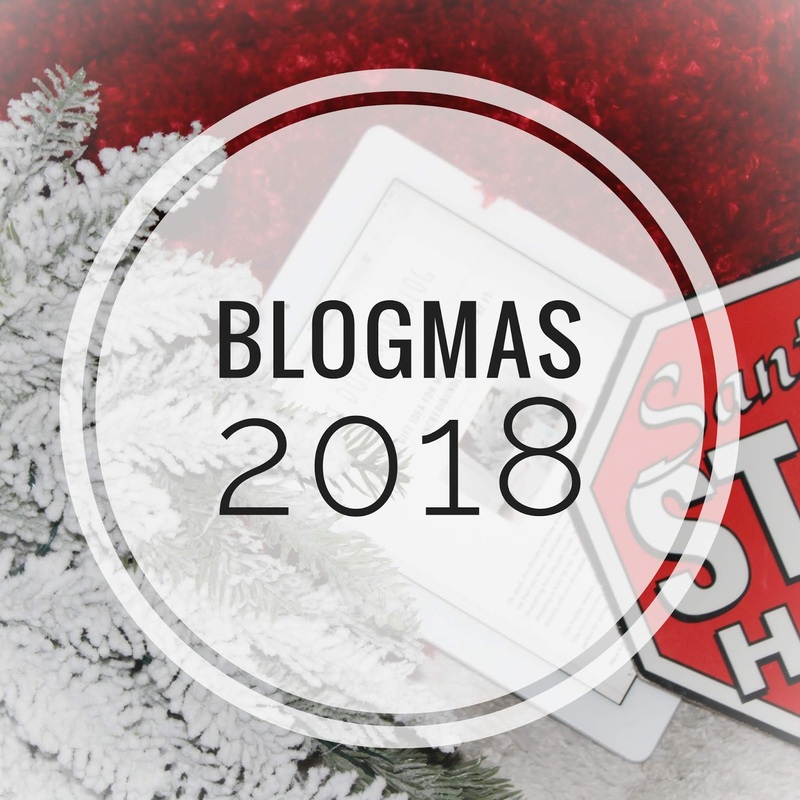 I’ve learned from transitioning from being a SAHM to now a working mom that some things are just going to fall through the cracks and it won’t make for a bad Christmas (it really is all in our heads yeah for our kids it was the best Christmas ever). So leaning on this my next advice is to make a PRIORITY LIST and share it with your family so that everyone is on the same page. That way you won’t have to sacrifice on those important family times and focus on creating memories (and isn’t that what Christmas is about). 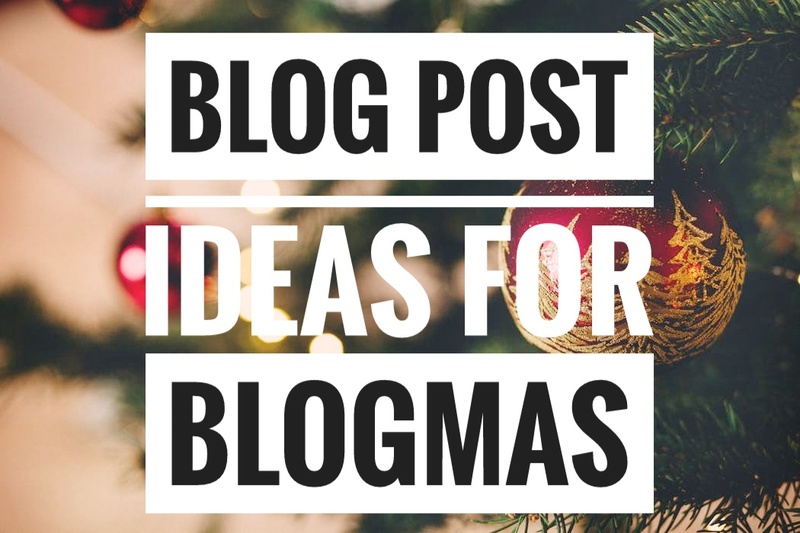 Finally, my next tip is to start planning for the Christmas season as early as January. Yes, it’s a bit extreme but trust me this will not only help to limit the stress but you can save so much money if you already decided on what your theme/color will be so that you can purchase those Christmas items after the season comes to a close. In closing, remember it will still be a perfect Christmas even if you didn’t do the professional family photos or your house doesn’t look like a Pinterest post because all that matters is that you made the time to be with family (and if your kid is like mine that’s all that matters). Happy Holidays from the Lioness of A Tribe Called Thompson. 2. SURPRIZAMALS: these surprise plushies are not only super cute but you can collect over 200 of them! 3. SHIMMEEZ: create works of art with the swipe of a hand with this two-toned multi-colored plush. From sizes 14" to clip-on they can be a gifted as a present or stocking stuffer. 1. Countdown to the Holidays- buy or even d.i.y a calendar to count down the days to Christmas. It's a fun way to get everyone excited about the approaching holiday. 2. 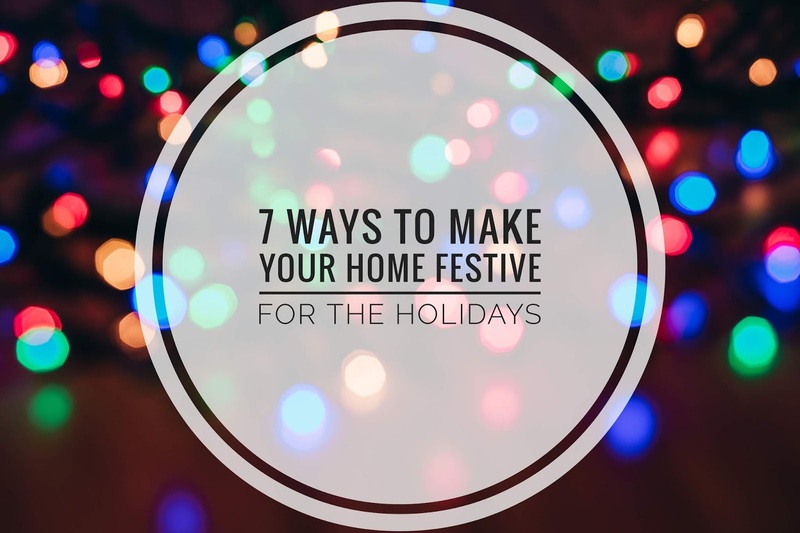 Fill Your Home With Holiday Scents- holiday candles are always a great way to fill your home with those oh so familiar scents that just smell like Christmas. You can also use fresh spices like cinnamon sticks, or make bags of nutmeg and cloves and such. 4. Holiday Table scape- create a holiday table setting for your dinning room table. No matter your budget you can find ways to set the table in a way that screams Christmas! 6. Change Your Bedding- You can go all out by changing your entire bedding to a Christmas theme or you can simply add a few Chirtmas throw pillows in the mix to make the bedding you already have more festive. 7. Bake- everyone loves to eat and cooking as a family is always fun so you can't go wrong with baking some of your favorite holiday treats! As Christmas approaches and we fill our carts with the perfect gifts, decorate our home in various holiday themes, and write out our menus for a fabulous Christmas dinner, don't forget to take a moment to remember what the holidays are really about. Don't get me wrong, we all love showering our love ones with presents, and filling our homes with laughter as we share a meal, that too is what the holidays are about. This is just a reminder to step back and remember to give back. 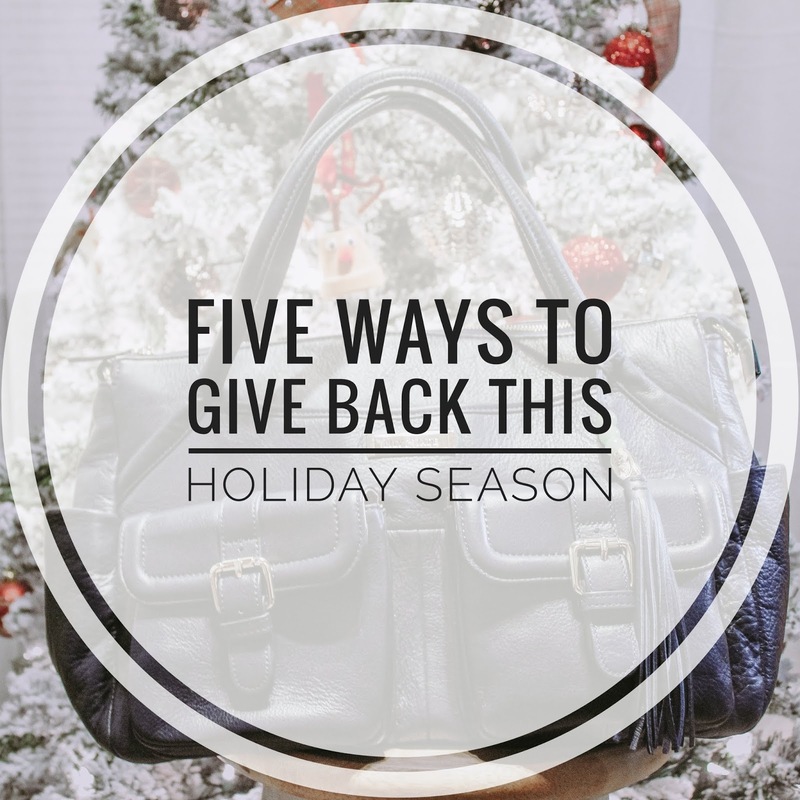 Below I will be sharing five ways you can give back this holiday season. 1. Volunteer- Whether you are helping to build a home wiih Habitat For Humanity or serving meals at your local soup kitchen it's important for not you but your little ones as well to get out in your community and help those less fortunate. 2. 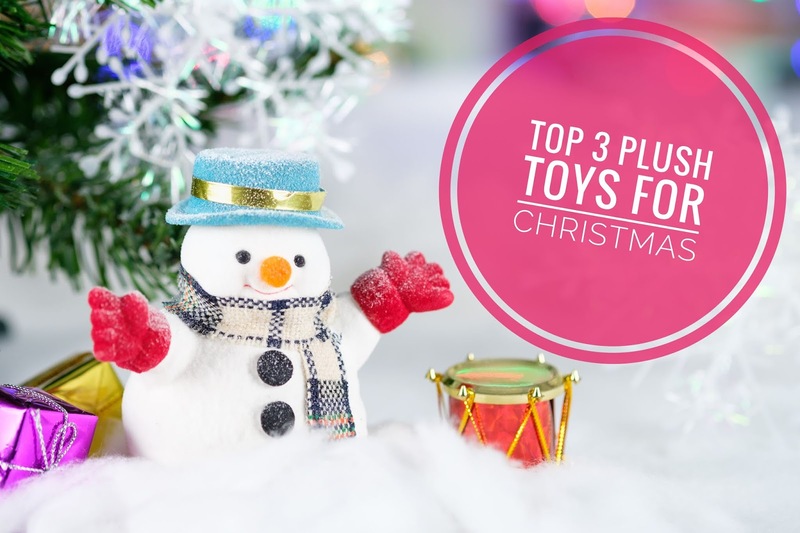 Donate- With a visit from Santa soon approaching this is the perfect time to gather up all those gently used toys, clothes, and books your little ones no longer use to donate to children in need. 4. Give A Portion Of Your Proceeds To Charity- Are you a small shop? Do you own some sort of business? The holiday season is the perfect time to give a portion of your proceeds to a charity you hold dear to your heart. 5. BE KIND- While this is known to be the most magical time of the year it is also the most stressful time of the year. We have to remember that we are all human. You never know what the cashier with the attitude just went through, or what distracted that person who forgot to use the proper signal while driving. Energy is transferable. Give off positive vibes through out the holiday season, you just may change someones life. It's the most magical time of the year and I am ecstatic! The holidays have always been a special time for me. Probably because it's my mother's favorite holiday so she's always made it extremely special for us. I have so many wonderful memories of those eventful days growing up and while gifts are always wonderful my memories mostly consist of the things we did together. This is while when I became a mother I knew our focus would be on the time we spend together throughout this joyful time. 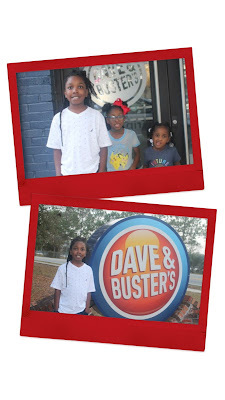 For my family and I, local adventures equal ever last memories and tons of fun! Below I'll be sharing our list of events we will be attending, in these Duval streets. If you do not live in Jacksonville Florida, no worries just use these places as inspiration to find something similar in your city. 1. The Black Santa Experience- You can simply stop by to take a picture with Santa or you can step it up to create a long lasting memory by staying for story time and even play games. Click here to get all the details. 2. WinterFest- The Winter Fest at Adventure Landing has always been a hit with my kids. Shipwreck Island Water Park is transformed into a Winter Wonderland with tons of activities. There is something for everyone! Ice skating, cookie decorating, you can even visit Santa. Learn more here. 3. Sweet Pete's- Whenever there is a new holiday Sweet Pete's is always on my list, not only do they have amazing themed events but the decor' is always magical. 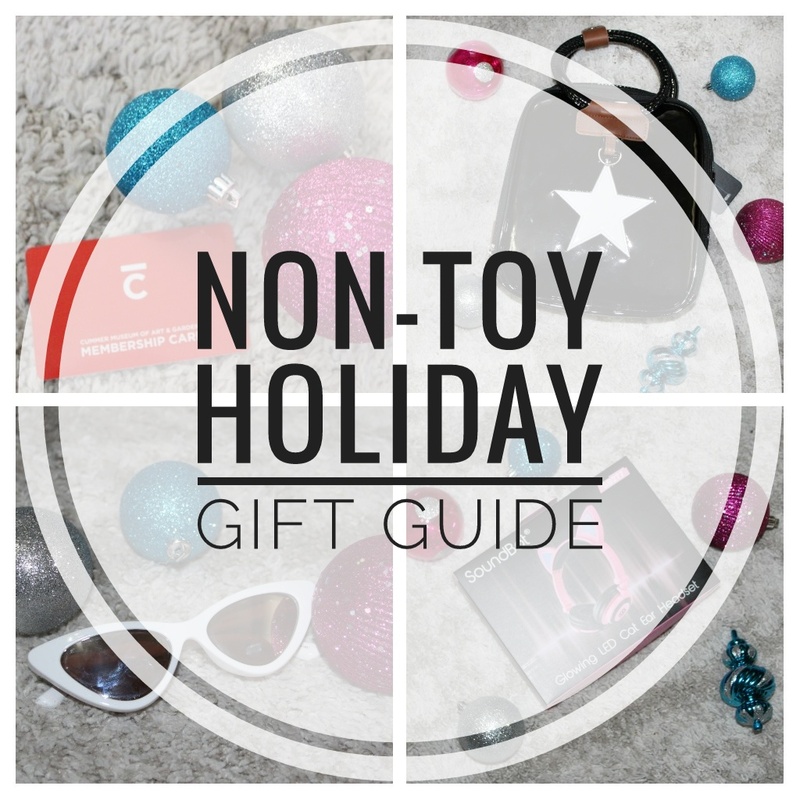 You can eat, have yummy deserts, even shop for a few holiday gifts? here is where you can learn more. 4. Deck The Chairs- OK, so we live in Florida, my children are Floridians and there is no way, in my option, you can celebrate the holiday's without the beach, right? Jacksonville Beach Deck The Chairs is an annual lighted sculptural exhibit. Get details here. 5. 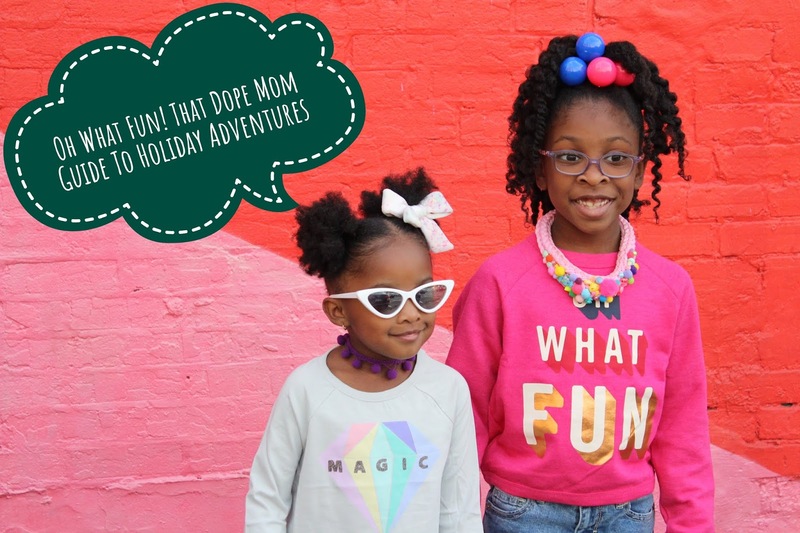 ZooLights- My children already love the Jacksonville Zoo and Garden's so what better way to celebrate the holidays than a visit to one of their favorite places when it's covered in Christmas Lights? Want more details? Click here. 6. Jax Illuminations 6th Annual Drive Thru Holiday Light Show- This is hands down one of my favorite adventures we go on during the holidays. We get to all climb in the car, grab a free hot chocolate, turn to a special radio station that will fill our vehicle with holiday music, and cruise around looking at some amazing Christmas lights! 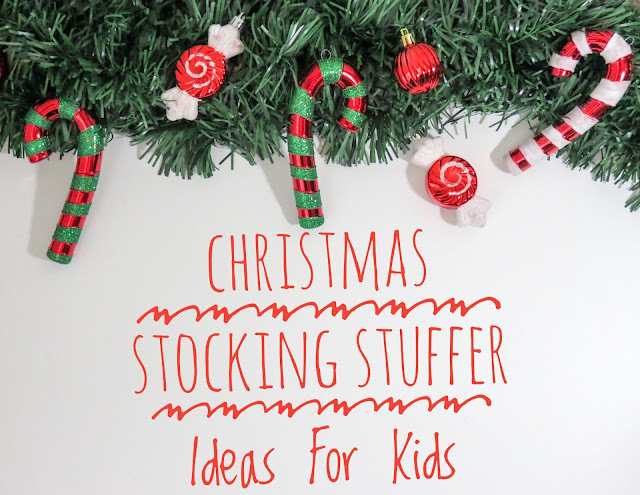 Do your kids love Christmas Lights? Details? Click here. I've been in the holiday spirit since before it was technically the holidays, what can I say I'm my mother's daughter. (She loves Christmas) While I've been all fa la la la my husband has more of a bah humbug mood. One thing I've noticed is people are either all in or all out during this time of year, there is no middle ground. No worries to all my grinch-ish people out there. 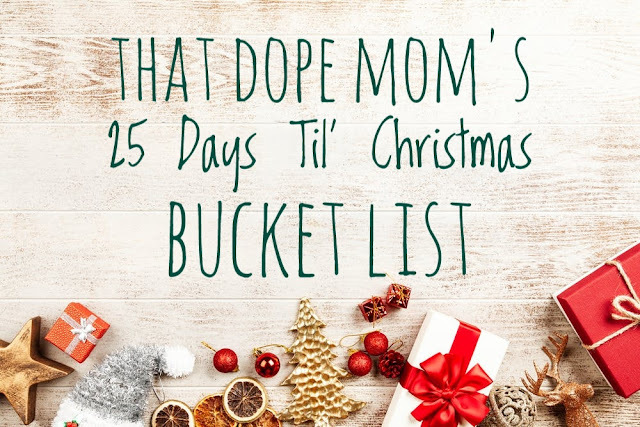 I'm going to share with you all my 25 Days Til' Christmas Bucket List to help get you in the holiday spirit!